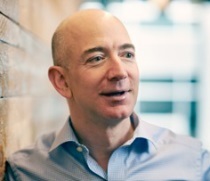 Bezos: media savior or vanity newspaper owner? Is Amazon CEO Jeff Bezos' move to buy The Washington Post a vanity play or the first real attempt to find the outlets that used to call themselves "newspapers" a viable business model for the 21st Century? Is Amazon CEO Jeff Bezos' move to buy The Washington Post a vanity play or the first real attempt to find the outlets that used to call themselves “newspapers” a viable business model for the 21st Century? With outlets across the country struggling to survive and many PR agencies changing their own strategies to rely less on media outreach, Bezos' purchase of the landmark newspaper – and the end of eight decades of ownership by the Graham family – will be closely watched. Journalism needs a business model. Can Bezos find one? PRWeek also asked a few digitally savvy communicators to weigh in on the acquisition.